Europe’s multi-billion investment in natural gas for shipping will do little to help decarbonise the sector, a new study has found. An independent study for Transport & Environment (T&E) carried out by the UMAS consultancy found that Europe has spent around half a billion dollars on liquefied natural gas (LNG) infrastructure for refuelling ships. The EU Alternative Fuels Infrastructure Directive states that LNG is an “attractive fuel alternative” for vessels to meet the requirements for decreasing sulphur content in the SOx Emission Control Areas which affect half of the ships sailing in European short sea shipping. The study found, however, that the EU’s investment in LNG would lead to a maximum of a 6 per cent reduction in shipping greenhouse gas emissions by 2050 compared to the replaced diesel. These emissions savings would likely be cancelled out by the growth of maritime trade, even before possibly higher rates of methane slip – methane emissions that take place during the burning process – are considered, according to the research. According to a recent study in Science on methane emissions from the US oil and gas supply chain, real emissions are around sixty per cent higher than the US Environmental Protection Agency’s estimates. In April 2018, the International Maritime Organization (IMO) agreed that international shipping’s emissions should reach at least the half of current levels by 2050. Global shipping currently accounts for 2-3 per cent of emissions and, without additional climate measures, is expected to be responsible for up to 14 per cent of emissions by 2050. Currently, Ireland is the only country in North Western Europe without an LNG terminal. A proposed LNG port in Shannon is currently the most controversial subjects among in Ireland. 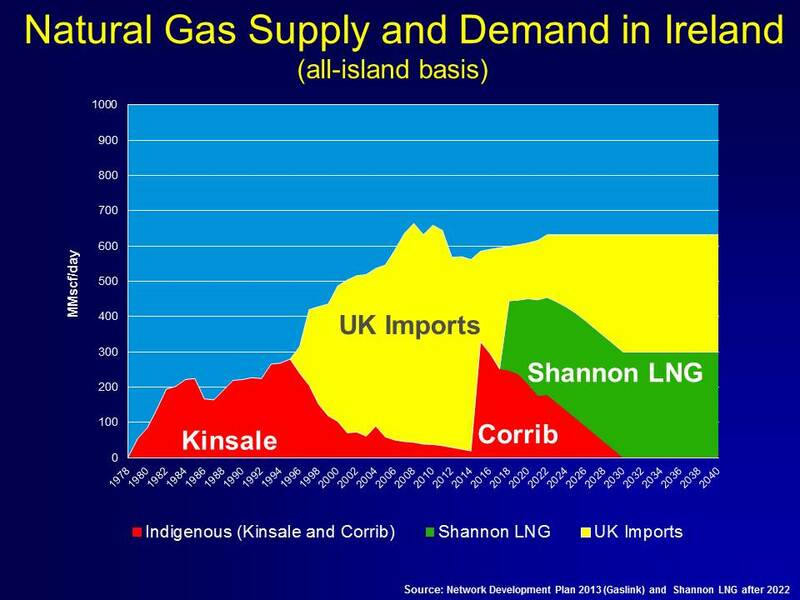 In 2009, Shannon LNG was granted planning permission to build a port in county Kerry to import natural gas. Yet a number of regulatory issues have blocked the construction process. Shannon LNG argues that this project will benefit Ireland financially. It also claims that it will protect it from higher wholesale prices as Ireland currently imports 85 per cent of its gas from the UK. Yet environmental activists in Ireland, such as Friends of the Earth are petitioning by saying no to this project and raising signatures against its implementation. Asmae is a first year PhD candidate from Morocco, majoring in Ecocriticism at Mary Immaculate College, Co Limerick. She has a strong interest in renewable energy as well as environmental justice and ecofeminism. She is passionate about writing and enjoys investigating environmental issues.